Festschrift : Dostoevsky: On the Threshold of Other Worlds . Essays in Honour of Malcolm V Jones. Edited by Leslie Milne and Sarah Young. A score of scholars from all over the world unite to present this tribute to the greatly respected Dostoevsky scholar Professor Malcolm V Jones in his 65th birthday year. Bramcote press is proud to publish this collection of essays in conjunction with the University of Nottingham. Special offer for BASEES members only. 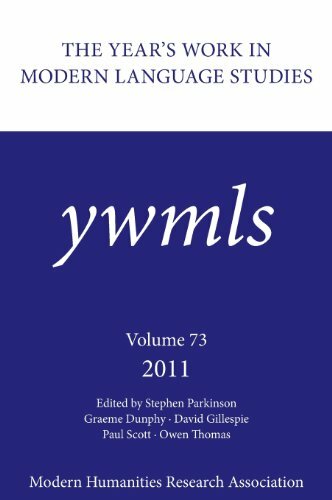 Every year the Modern Humanities Research Association publishes a critical bibliography entitled The Year's Work in Modern Language Studies . The book runs to over 1000 pages, and aims to cover scholarship in all the European languages (language and literature) in the past year. We are currently looking for contributors in the following Slavonic fields: Russian language; Russian literature to 1800; Czech literature; Slovak Studies; Polish language; Ukrainian Studies; Belarussian Studies; Bulgarian Studies. Contributions should take the form of a bibliography with critical comment, where appropriate, and should be about 4000 words long (in English). The MHRA is also able to provide a fee for these contributions. For further information please contact David Gillespie. CoFoR-REES is a partnership of nearly 20 UK libraries with important REES collections. Among other activities it maintains a National Desiderata List of major sources (e.g. microform sets, online services) that are important for REES research in Britain but which are not at present accessible, usually because of their high cost. CoFoR-REES has used the Desiderata List in consortial negotiations with publishers, and we are now updating it to serve as a basis for preparing cases for special funding to help acquisition by libraries. We welcome recommendations from BASEES members for items to be included on the revised Desiderata List , particularly if they are seen as essential to current research in more than one institution, and if their cost has so far prevented acquisition. Please give the full title and publisher of the product, with a note on its importance to research.